Price has moved sideways for the week. 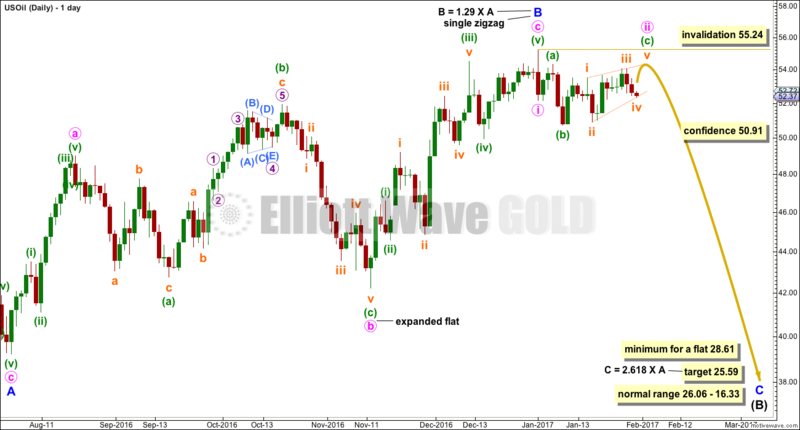 A new Elliott wave count fits sideways movement. Summary: A new high above 55.24 would indicate an upwards breakout, and the target would be 55.60. A new low below 50.91 would indicate a downwards breakout, and the target would be 28.61 minimum, possibly 25.59. Primary wave 4 may end if price comes up to touch the upper edge of the maroon channel. 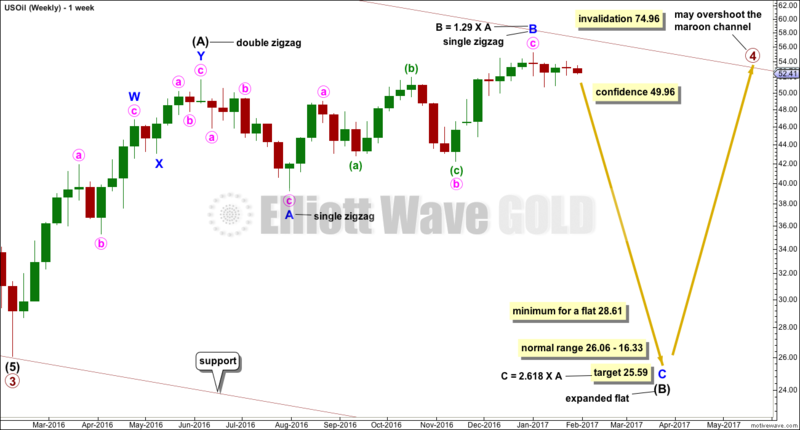 The upper edge of this channel has been pushed up to sit on the end of intermediate wave (2) within primary wave 3. Minor wave B is seen in this main wave count as a complete single zigzag. The upwards wave labelled minute wave a is seen as a five wave impulse. Minor wave C downwards should have begun. 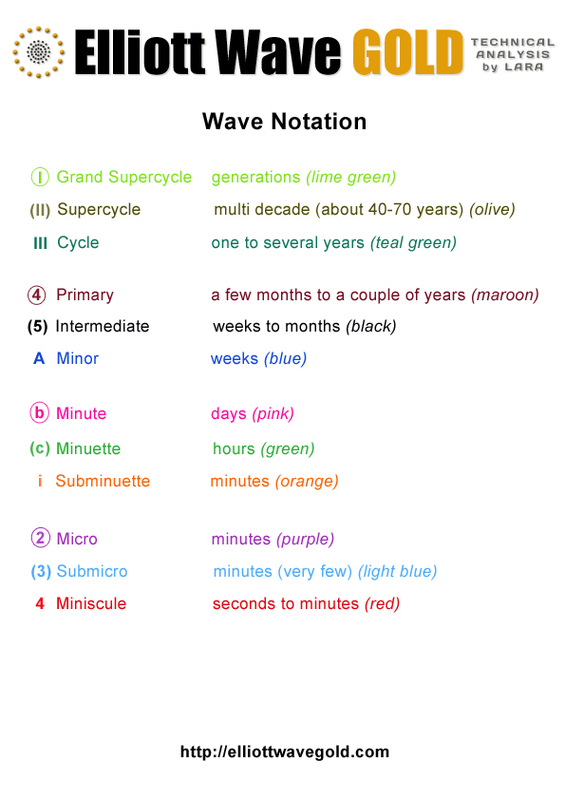 Within minor wave C, minute wave ii may not move beyond the start of minute wave i above 55.24. So far, minute wave i may be complete and minute wave ii may be an incomplete expanded flat correction. Within minute wave ii, minuette wave (c) must be a five wave structure that so far looks to be unfolding as an ending contracting diagonal that’s incomplete. 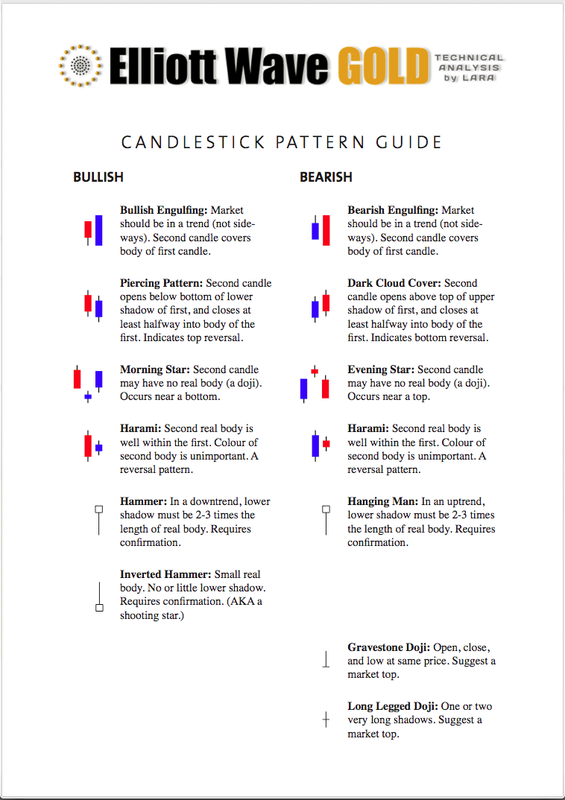 The classic pattern equivalent is a rising wedge. 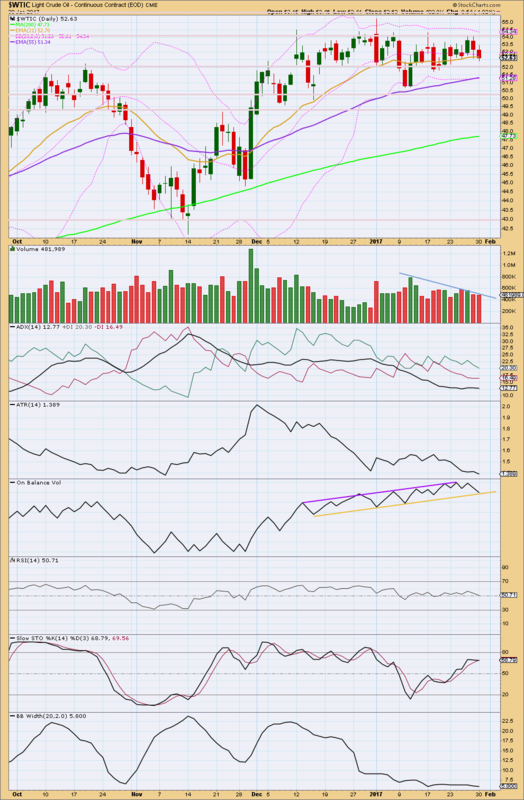 Contracting diagonals almost always end with a small overshoot of the 1-3 trend line. If this is seen, then expect an end to upwards movement as very likely. Minuette wave (c) is very likely to make a slight new high above the end of minuette wave (a) at 54.32 to avoid a truncation and a very rare running flat. A new low below 50.91 would invalidate the alternate wave count below and provide some confidence in this main wave count. Minor wave B is seen as an incomplete double zigzag. The first wave up labelled minute wave w is seen as a zigzag. This is the main difference between the two wave counts. Minute wave y must subdivide as a zigzag. Sideways movement over the last few weeks may be a triangle within it for minuette wave (b). Minuette wave (c) would be very likely to make at least a slight new high above the end of minuette wave (a) at 54.50 to avoid a truncation. The normal range for minor wave B within the larger flat correction of intermediate wave (B) is from 1 to 1.38 the length of minor wave A, giving a range from 51.67 to 56.41. 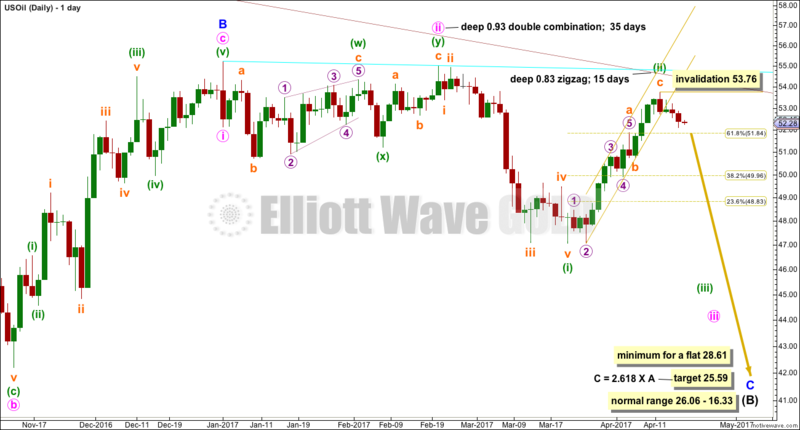 The target calculated for minuette wave (c) to end would see price end within this range. In the short term, within minuette wave (c), the correction for subminuette wave ii may not move beyond the start of subminuette wave i below 50.91. Price continues to move sideways with declining volume. Price is bound by resistance about 54.50 and support about 50.35. During this sideways consolidation, it is an upwards day which has strongest volume suggesting an upwards breakout is more likely than downwards. 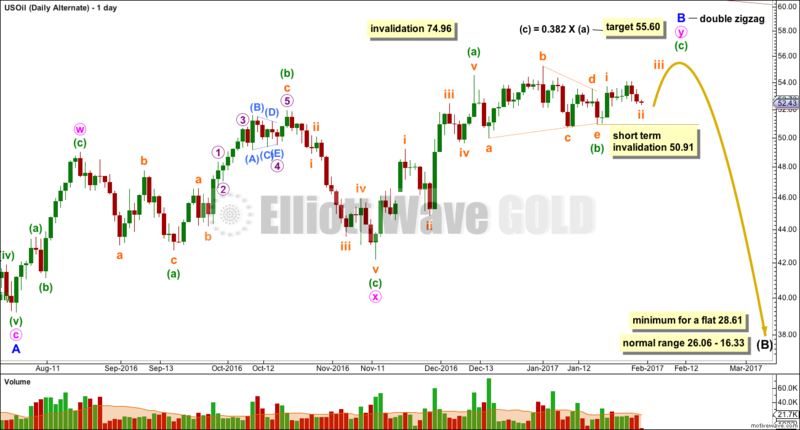 This supports the new alternate Elliott wave count. ADX is flat and below 15 indicating the market is not currently trending; it is consolidating. The +DX and -DX lines are whipsawing about each other. There is no clear trend. ATR is overall flat in agreement with ADX that Oil is consolidating. On Balance Volume is bound by resistance and support. No breakout yet has occurred to indicate the next direction for price. OBV has come down to touch the yellow support line today. This may assist to halt the fall in price here. 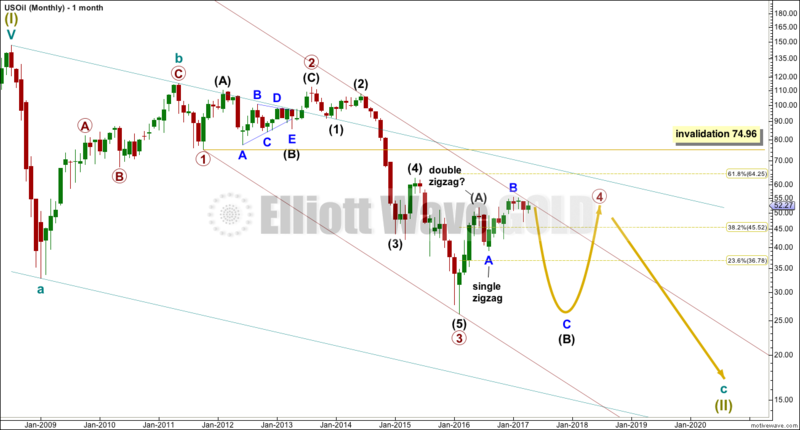 This supports the alternate Elliott wave count. RSI is hovering about neutral. There is plenty of room for price to rise or fall. A range bound approach to this market may now expect price to move higher and only end an upward swing when price finds resistance and Stochastics reaches overbought at the same time. 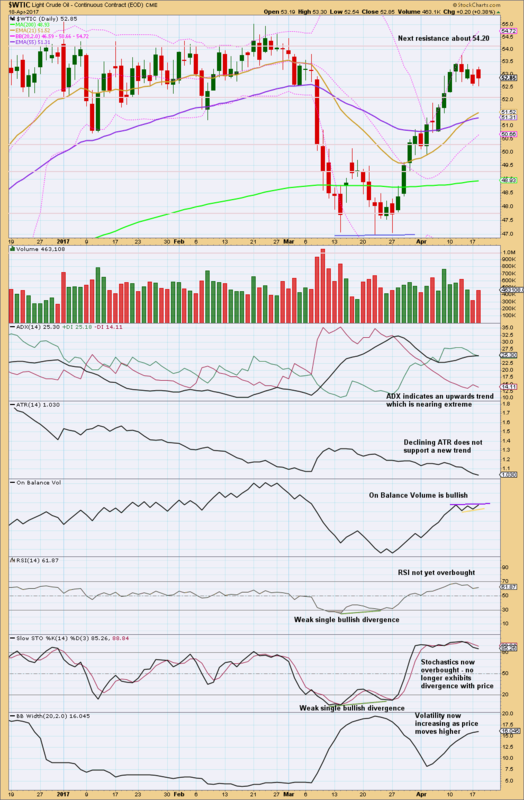 Bollinger Bands are tightly contracted. 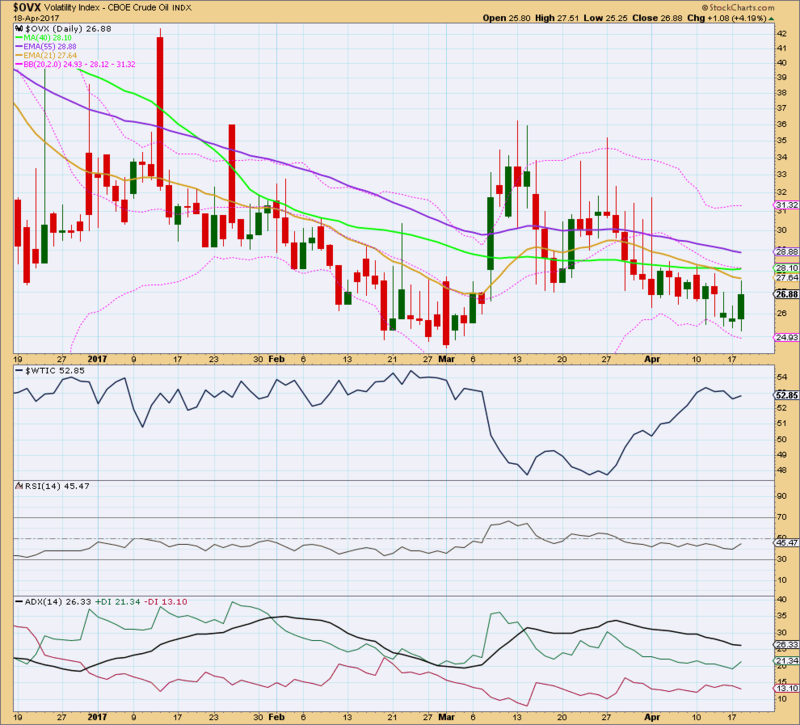 Volatility will return to this market. The longer Bollinger Bands remain contracted the more explosive the next movement may be. 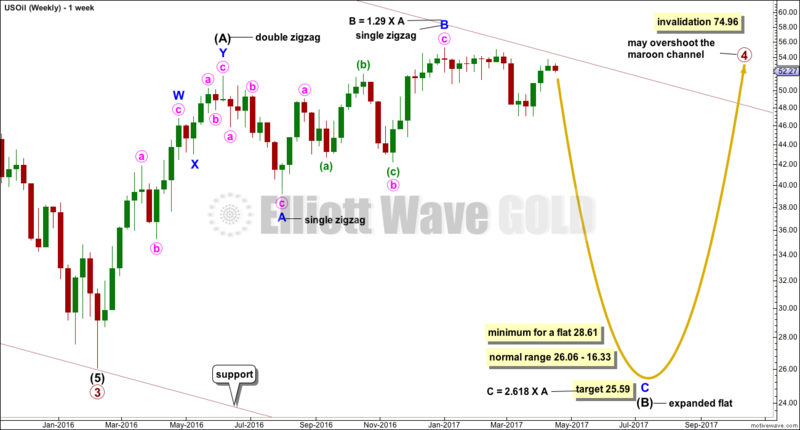 This week’s classic technical analysis slightly supports the alternate Elliott wave count over the main Elliott wave count. The situation is still mostly unclear for Oil this week. This analysis is published @ 01:47 a.m. EST. Price has moved slightly higher for the week with a slightly higher high and a slightly higher low from the prior week. 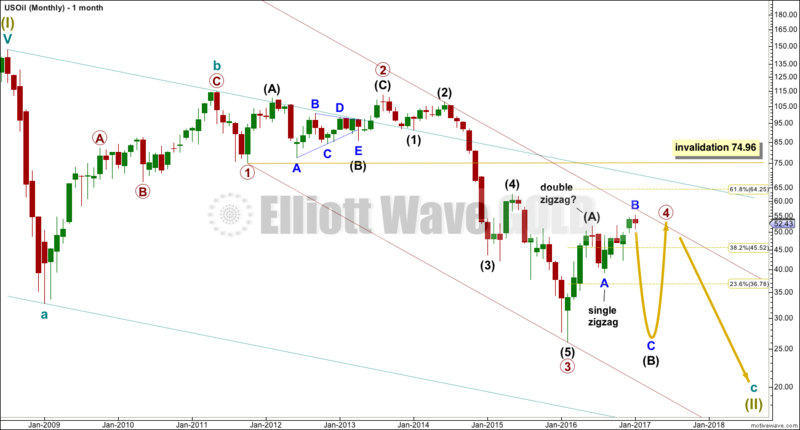 The Elliott wave count remains the same.